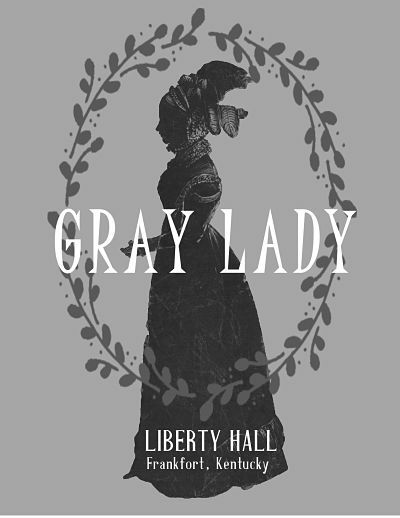 The Gray Lady is Liberty Hall's best-known figure. Many may not know that this famous ghost, often seen from the Palladian window at Liberty Hall, was a real person. Margaretta Varick (1744-1817) was the aunt of Margaretta Mason Brown, the wife of John Brown. Varick was traveling from New York to see her son in Illinois when she stopped in Frankfort to see her niece also named Margaretta. She died three days after arriving in Frankfort on July 28, 1817. Varick became violently ill one night and died before morning. The cause of death wasn’t determined, but theories range from heart attack to acute indigestion to exhaustion after a long hard journey. The first recorded sighting of the ghost was in the 1880s in the southwest upstairs bedroom. Mary Mason “Mame” Scott (1867-1934) was sleeping in the room when she awoke to see an apparition, a tall woman veiled in gray. Mame screamed and her brother, John Matthew, came with a shotgun, but the ghost had disappeared. For three successive nights, the same thing occurred. A family friend later suggested that Mame had seen the ghost of Margaretta Varick. 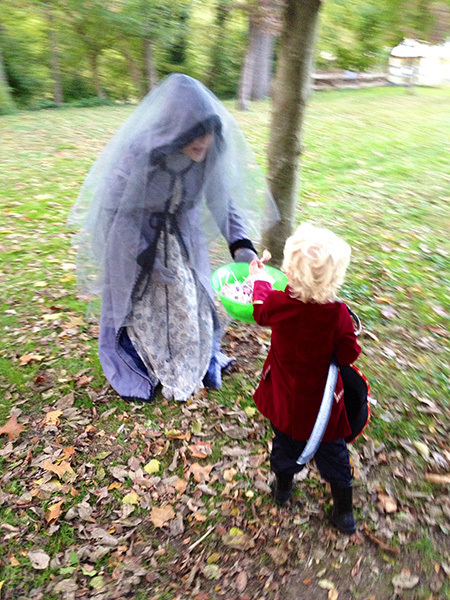 Mame later referred to the spirit as “our beloved ghost” and she viewed her as a kindly ghost. Brown family members and guests continued to have sightings in and around the area of the haunted bedroom during the early 20th century. Stories of the Gray Lady continue to this day, but why does she still haunt Liberty Hall 200 years later? Some believe that her body is still buried on the Liberty Hall grounds. Brown family members were re-interred to the Frankfort Cemetery in the late 1840s, after the cemetery was incorporated in 1844. These family members may have been buried on the grounds of Liberty Hall or elsewhere. Either way, there is no grave marker at the Frankfort Cemetery for Margaretta Varick leading some to conclude that she is unable to find her final resting place. The story of The Gray Lady of Liberty Hall is told in the specialty tour Our Beloved Ghost and in Gray Lady Children's Tours. Visit group tours to learn more about these tours.